This painting is in montréal, Qc. Feb 2010. 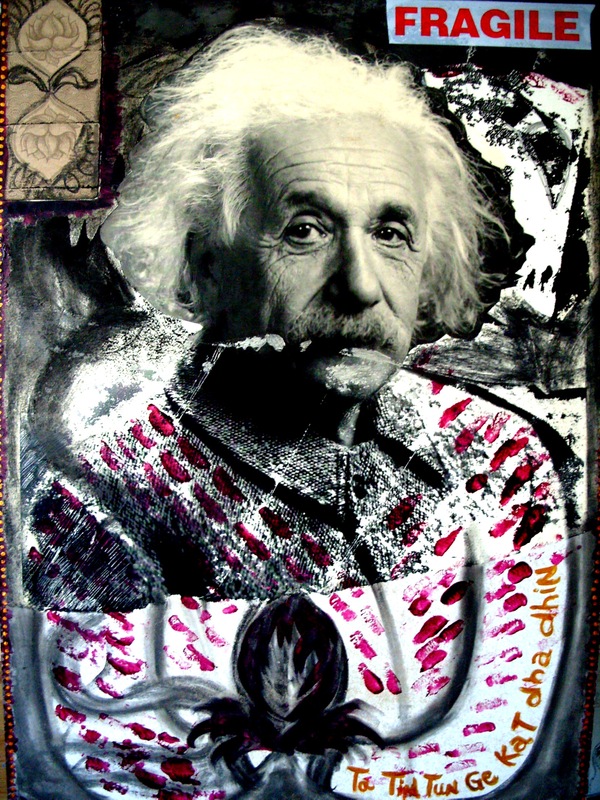 A friend of mine gave me this poster of Albert Einstein mounted on foam-core and in poor condition. It had been in his familly for a long time, but now, he was about to get rid of it and put it on the street for the recycle. When he passed by it the next day, he couldn’t stand albert’s eyes staring at him, alone on the street. My friend gave me this poster and asked me to give him another life. This is the result. Yé! Albert is alive! May he stare at us forever so we feel the responsibility that come with intelligence and necessity of wisdom.